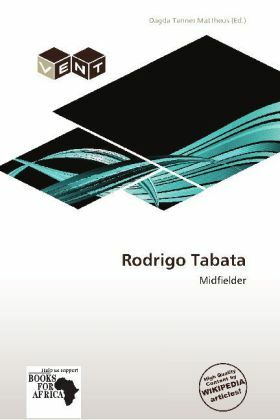 Rodrigo Barbosa Tabata or simply Rodrigo Tabata (born November 19, 1980 in Araçatuba, Brazil), is an attacking midfielder. He currently plays for Qatari club Al Rayyan. He has a Japanese-Brazilian background. In his debut match with the Gaziantepspor Jersey against Fenerbahçe on August 23, 2008 he scored the winning goal at the 80th minute. After a successful season with Gaziantepspor, Tabata moved to Be ikta for 8 million transfer fee. Platz 8: Jetzt reden wir weiter!